There are more runners out there today than ever before. It's a fact. Marathons for all degrees of athletes are being held worldwide, all the time. Some marathons are so popular now that it is 10 times as difficult to be picked in the lottery pool. Completing a marathon is no mean feat, yet participation is increasing. So what exactly are marathons like? In this post, we'd like to talk about their appeal, and tips on how to finish them. First, let's differentiate these three terms. "Marathon" refers to a running sport that covers 42.195 kilometers or 26.2 miles of open road distance. Marathons are long-distance races. There are also half-marathons, quarter-marathons, and even ultra marathons that are longer in distance. Marathons are officially called "full marathons." With these variations in marathons, it's good to cover the terms "running" and "jogging". The difference between the two is running speed. While there are individual differences in speed, jogging and warming up are run at a comparatively slower speed. While building physical strength, maintaining good health, losing weight, and refreshing one's mood are some of the benefits of running it is also important to have some sort of purpose or goal to be able to continue running for the long-term. "Energy and Time to Make It All The Way"
The number of runners who have finished full marathons in USA has exceeded 540,000 in 2013 – the highest number ever. * For those who have never participated in a marathon before conquering the 42.2 kilometers or 26.2 miles is still quite the challenge. For example, a person weighing 60 kg or 132 lbs would need 2,532 calories for a full marathon. Approximately 2,500 calories is the amount of calories that an adult male needs to intake in a day, thus the amount of energy needed to run a marathon is equal to the daily calorie diet for a male adult. Whether it takes you 3 or 7 hours to finish a marathon, your total calories expended will not change. So, take your time and you will be fine. While a expert marathon athlete is able to finish a full marathon in 2.5 hours it doesn't mean everyone has to. Marathons such as the Tokyo Marathon has a time limit of 7 hours. No no need to stress, to finish a full marathon in 7 hours, 6 kilometers or 3.75 miles must be covered in an hour. A combination of jogging and fast walking will get one in time to finish. 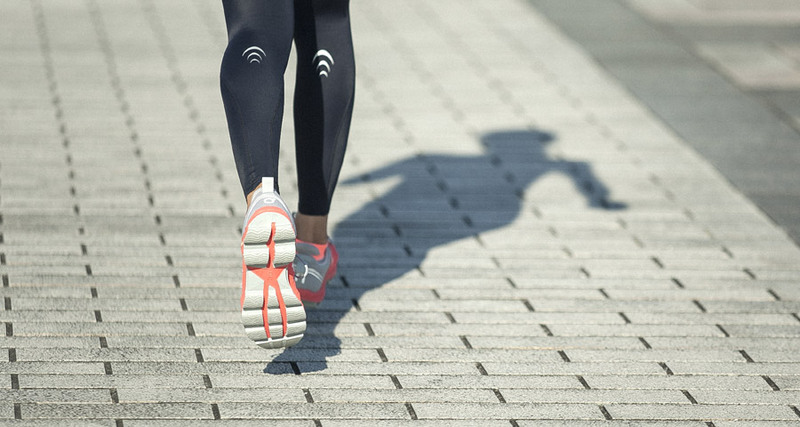 If the goal is to finish a marathon, smart pacing will get one to the finish line. But why do some people fail in completing a marathon? Some retire from exhaustion but in many cases it's because of pain in the knees and hips. Running puts a strain of three times a runner's weight on the legs. Ultimately, full marathons require minimizing the strain on the body more than physical strength and stamina. So how do we minimize strain on the body? The first thing to do is to control body weight. As we have seen in the energy calculation mentioned earlier, the lighter the body, the lesser expended calories. Also, a lighter body means less strain on the knees and hips. Managing bodyweight while training is ideal. However, extreme diets aren't necessary because regular running will naturally help you lose bodyweight. Next, re-evaluate your running form. Your running form greatly affects bodily fatigue, especially when you are running for hours. Proper form will minimize the amount of strain on your muscles and joints so you can run for longer. To achieve this, run using small steps, minimize the time that your feet are on the ground, straighten your back and spine, and imagine yourself running with your center of gravity extending forward. Lastly, consider wearing compression gear. Our C3fit Inspiration Long Tights and Calf Sleeves apply an optimal amount of graduated compression that facilitates better blood flow and control of muscle vibrations that minimize the energy that you expend. 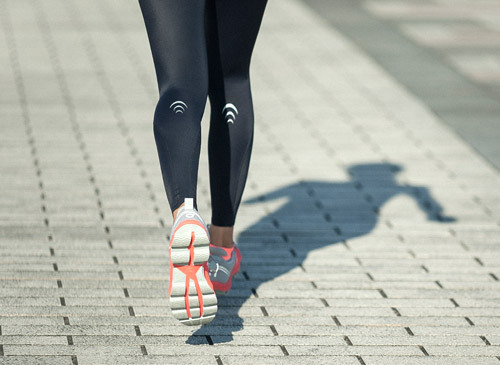 C3fit tights, sleeves, and socks are classified as General Medical Devices in Japan. They will help you preserve energy for that final spurt. And when you're all done and exhausted, they will help your muscles recover so you're ready for the next one. For those who are concerned about your knees and hips, we recommend our Impact Air Long Tights that have a taping effect that supports your hips, knees, and thighs. In addition, try the Impact Air Long Tights with our Arch Support Socks for a powerful combination of running support. Our socks support all three arches of the foot, which prevents the breakdown of the arches, reducing the strain on the knees and hips. While completing a marathon is definitely not a walk in the park, you can surely achieve it if you face the challenge after properly preparing for it. Beyond the finish line, a real sense of achievement only felt by those who have finished a marathon awaits. Set this big goal, take up the challenge, and let C3fit help you along the way. Your full marathon is waiting! The Importance of Sports Bras for Female Runners! C3fit's design incorporates graduated Compression, body Conditioning, and Comfort for every movement, providing perfect fit and function. C3fit Magazine offers tips to enhance performance of all users through these 3 "C"s.